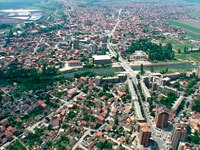 Although Kosovo is technically a part of Serbia, only 5% of its population is Serbian, while 90% is Albanian. It still bears the scars of the civil war between them: during the conflict, the two communities seized each others' homes and property, leaving thousands displaced after the war ended. The UN created the Housing and Property Directorate (HPD) to restore homes back to the lawful property-right holders. Since it's inception the HPD has successfully dealt with 29,000 cases. It has made conditions for return easier and offered a cheap, impartial, and safe process where people can come and make their claims. But the HPD's authority has been limited, and its mandate in Serbia is soon at an end. Will HPD's withdrawal signal new anger over land and property rights?